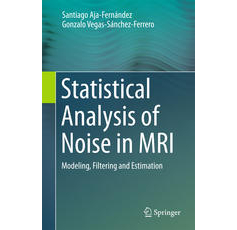 Tristán-Vega, A., and S. Aja-Fernández, "Joint LMMSE estimation of DWI data for DTI processing", Medical Image Computing and Computer-Assisted Intervention–MICCAI 2008: Springer Berlin Heidelberg, pp. 27–34, 2008. Tristán-Vega, A., G. Vegas-Sanchez-Ferrero, and S. Aja-Fernández, "Local similarity measures for demons-like registration algorithms", Biomedical Imaging: From Nano to Macro, 2008. ISBI 2008. 5th IEEE International Symposium on: IEEE, pp. 1087–1090, 2008. Aja-Fernández, S., and C. Alberola-Lopez, "Matrix modeling of hierarchical fuzzy systems", Fuzzy Systems, IEEE Transactions on, vol. 16, no. 3: IEEE, pp. 585–599, 2008. Sosa-Cabrera, D., R. de Luis-Garcia, A. Tristán-Vega, C. Alberola-Lopez, and J. Ruiz-Alzola, "Strain index: a new visualizing parameter for US elastography", Medical Imaging: International Society for Optics and Photonics, pp. 69200W–69200W, 2008.